This article by Charlotte Pritchard, PhD Researcher, at the School of Natural Sciences is republished from The Conversation under a Creative Commons license. Read the original article. Some 12m hectares of the UK is currently covered by agricultural grasslands which support a national lamb and beef industry worth approximately £3.7 billion. However, proposals have been made that this landscape should undergo radical changes to aid the country’s climate change commitments. A controversial government advisory report recently produced by the independent Committee on Climate Change calls for UK lamb and beef production to be reduced by up to 50%. It claims that by replacing grazing land with forestry the UK will be able to substantially decrease its greenhouse gas (GHG) emissions. The National Farmers Union has responded to the report stating that it has no plans to reduce livestock numbers. Lamb and beef production is an important part of the UK’s cultural heritage, and is vital for supporting rural communities. The lamb and beef industry also provides the country with a supply of high-welfare locally sourced meat. In fact, the UK is the top lamb producer and the third largest beef producer in the EU. And in 2016, the UK was 76% self-sufficient in terms of its own food production. But lamb and beef production is also the greatest contributor to agricultural GHG emissions – the CCC report states that, in 2016, lamb, beef and dairy production combined contributed to around 58% of UK agricultural emissions. 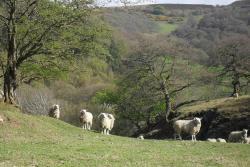 Sheep and cattle grazing is also an integral part of how upland landscapes are currently managed. This is particularly true for Scotland, where managing the upland landscape is important for supporting other industries, such as game bird production. These upland systems have great potential for afforestation – the planting of trees in previously unforested areas – though this doesn’t necessarily have to result in a decrease in livestock numbers. Planting trees is a crucial step in the fight against climate change. Trees act as a carbon sink for CO2 and also provide a source of different biofuels products. Previous planting schemes have seen success, for example, between 1990 and 2010 the area of the UK covered by woodland increased from 2.6 to 2.8 million hectares. But grazing land need not be taken away for the sake of this environmental initiative. Afforestation plans can be sensitive to the aforementioned socioeconomic and cultural factors if a balanced approach is taken. So what can be done? Agroforestry might be a way to meet the Committee on Climate Change’s recommendation to release between three to seven million hectares of grassland for afforestation without affecting the UK’s food supply. Under agroforestry schemes, new woodlands are grown and existing trees are cultivated on farmlands. The aim is to optimise farming systems by incorporating woodland into them rather than replacing grazing land with trees. Planting trees and hedgerows improves grass growth, protects against flooding and topsoil erosion, increases farmland biodiversity and provides a source of natural shelter for livestock. And if the trees are used for biofuel or timber they can provide additional farm income. 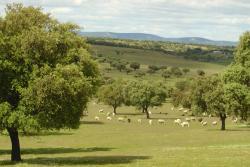 Agroforestry schemes can improve animal welfare too. 2018’s lambing season resulted in an unprecedented lamb mortality rate. But it has been shown that, by providing a source of natural shelter, lamb mortality rates can be reduced by up to 50% during inclement weather. Projects like this are already in place, for example the Welsh government’s Glastir scheme. Launched in 2012, this pan-Wales sustainable land management scheme rewards farmers financially for adhering to environmental guidelines. Though it must be noted that while Glastir has proven more effective than previous agri-environmental schemes, it has been criticised for its lack of measureable outcomes and its limited uptake by Welsh farmers. With Brexit looming, now is the perfect time for agricultural reform as the country revisits current land use policies. As an industry that is currently so reliant on EU subsidies, there is a strong incentive to optimise production methods. Government discussions are already well under way over how to bring together the agriculture and forestry sectors in order to better manage pastoral landscapes. If agroforestry is incorporated in to these new agricultural policies and subsidy schemes there will be huge benefits for farmers, conservationists, the general public and the livestock they rely on.